Hey there! Thanks for dropping by (Almost) DailyBrett Blog! Take a look around and grab the RSS feed to stay updated. See you around! Tired of screaming talking heads? Are you just done … with polemics? Want real news that is more than 24-7-365 bashing of Donald Trump? How about real-time information, which is 100 percent relevant to at least 54 percent of Americans who constitute the nation’s “investor class”? Digging deeper one finds that 73 percent of those with bachelor’s degrees and above, and 83 percent of master’s degrees and above, own publicly traded company shares or stock-based mutual funds … many in employer 401K plans or IRAs. With all of these stats in mind, Almost DailyBrett welcomes you to the best network on television: CNBC. What ever happened to critics who proclaimed that around-the-clock Wall Street market coverage would never work? They are the same naysayers who proclaimed that 24/7/365 sports wouldn’t fly when ESPN was launched in 1979. How did either of these forecasts work out? Just as ESPN’s proven business model fostered a plethora of imitators (i.e., Fox Sports, CBS Sports, NBC Sports Network), the same is true with CNBC, born in 1989. Two years later, CNBC’s parent acquired Financial New Network. There was obviously moola to be made from those who care about global markets, particularly their NYSE and NASDAQ investments. Never-shy-about-about-exploiting-an-opportunity, Rupert Murdoch, debuted CNBC’s major competitor Fox Business in 2007, including raiding CNBC for proven on-air talent (i.e., Maria “The Money Honey” Bartiromo, Neil Cavuto, Liz Claman …). Fox Business now leads in the Nielsen Ratings for cable business networks, just as Fox News is on top for cable news channels. 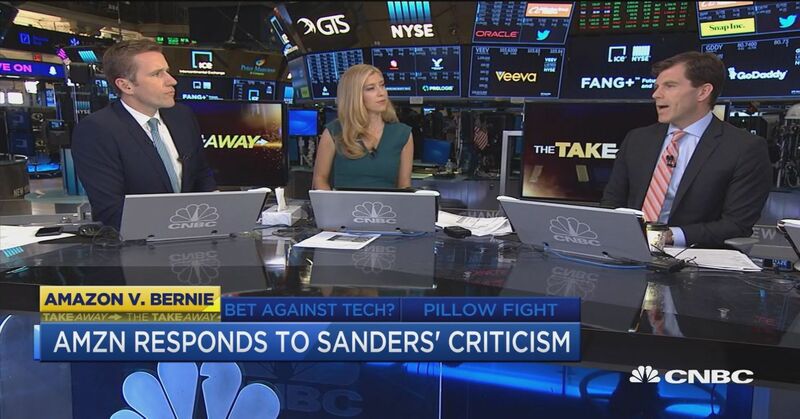 Almost DailyBrett believes that competition makes everyone better, and contends that CNBC can take full advantage of the opportunity that comes from adversity. Working for the Semiconductor Industry Association (SIA) in the mid-1990s, your author as director of communications was interviewed each month on the chip industry’s book-to-bill ratio … or what is the relationship between the booked orders and the already billed orders. One always wanted the former to be higher than the latter. As a director of Corporate Public Relations for LSI Logic, Almost DailyBrett booked our CEO Wilf Corrigan on CNBC whenever we had good news to report, provided the markets were open and trading. And who says, you cannot quantify effective public relations? Recently saw a sell-side analyst explaining on CNBC why he downgraded Nike from a buy to a hold with a lower sales target … the stock sold off during the interview. That is the awesome power of an analyst being interviewed on a financial news network. Almost DailyBrett contends from years as a loyal viewer that CNBC covers real news: What’s happening with global markets, consumer spending, newest gadgets and gizmos, trade wars, Brexit, Federal Reserve rate hikes or cuts/quantitative tightening or quantitative easing …. Is CNBC perfect? Far from it. Yours truly rolls his eyes whenever yet another report focuses on East Coast dino-tech legends General Electric (GE) or Itty Bitty Machines (IBM). The former is Sears in drag, and the latter is just a few steps further back on the same bridge to nowhere. Having said that, there is a healthy consistency that comes from Bob Pisani from the floor of the NYSE and Bertha Coombs from the NASDAQ. 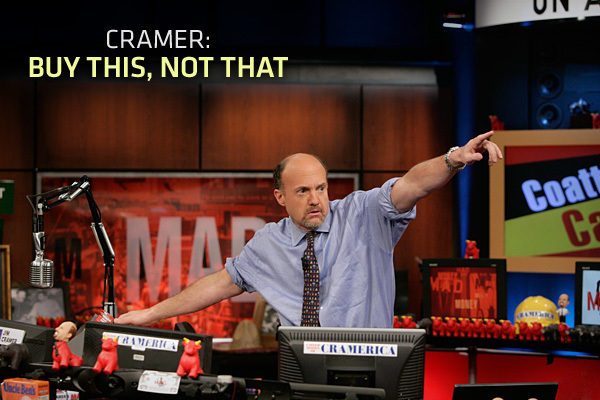 Who can avoid smiling when Jim Cramer is throwing bulls and bears on “Mad Money?” David Faber (a.k.a. “The Brain) is always solid with his reporting. Carl Quintanilla, Morgan Brennan and John Fortt are especially credible with the coverage of technology to start the day. 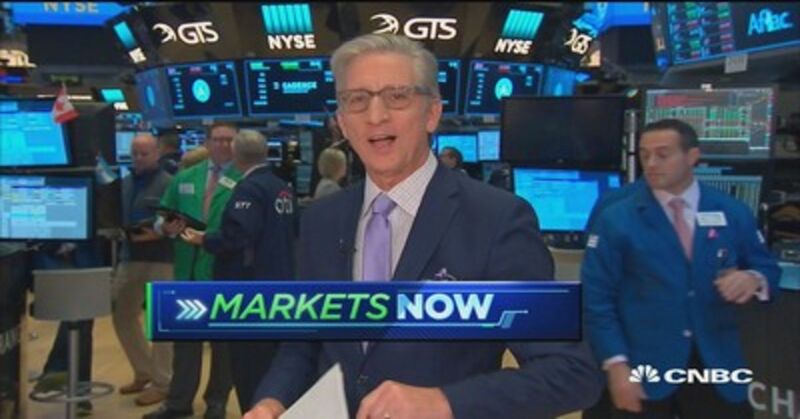 Wilfred Frost and Sara Eisen put a capper on the trading day by hosting “Closing Bell” with Michael Santoli providing analysis of the just competed trading day. If you want wall-to-wall about what is wrong with the relationship between Donald and Nancy, there are networks, which can provide you with all the gory details on a 24/7/365 basis. Go for it. And if you can’t wait for another update on the no talent Kardashian family, CNBC is not your cup of tea … and never will be. Thank the good Lord. Do you really think so, Oscar? By Sunday evening the airline’s brand was radically changed, maybe even permanently altered, by what happened on a commuter flight (United Express #3411) from Chicago’s horrible O’Hare Airport to the home of the Kentucky Derby, Louisville. Note that horses are treated better than United’s overbooked passengers, one in particular. Almost DailyBrett has researched and written extensively about the loss of branding control. With social media and easy-to-use and outstanding-quality smart-phone cameras and recorders, everybody is a potential reporter, even one sitting in an aisle seat on United. Just as BP is no longer seen as an oil and gas company, but rather one that caused the massive Deepwater Horizon “spill,” United is now linked to inexplicable violence against one of its own paying customers, whose only crime was wanting to fly home to treat his patients. 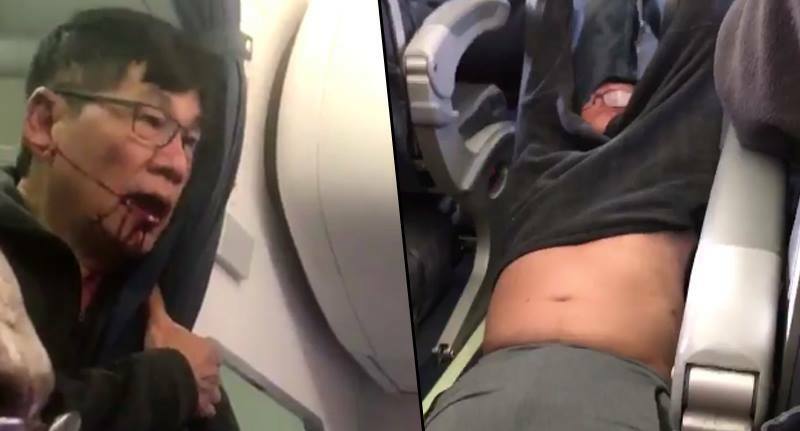 The inexcusable exercise of violence and brutality against a 69-year-old Vietnamese refugee, Dr. David Dao, including losing two front teeth, sustaining a concussion, and suffering a broken nose — all because he committed the cardinal sin of refusing to leave a seat he purchased on an overbooked flight to accommodate a United employee — is now a viral social and legacy media legend. Most likely, this horror video could also be the topic of a heavily covered jury trial (United will try to avoid this scenario at all costs by attempting to settle out of court), and possibly a congressional investigation (United probably will have to respond to a subpoena). There is very little chance United could prevail before any jury regardless of venue. The author of Almost DailyBrett has repeatedly told students at Central Washington University that company, non-profit, agency, government, politician brands are now “traded” on social media and blogging exchanges every second of every day. These brands can soar (e.g., Tesla and Elon Musk) on glowing reports (and company common stock usually moves in tandem). They can also plunge into binary code oblivion triggered by a game-changing incident (i.e., Chipotle and E. coli; Volkswagen and “defeat software”; Wells Fargo, phony accounts; Anthony Weiner and his tweeted wiener). So far, United investors and employees have lost an estimated $1.5 billion in market capitalization on the New York Stock Exchange (NYSE). On the social media stock exchange, the company has lost even more as millions around the world are shocked and appalled by about 60 seconds of gratitous violence video. In China as well as other countries in East Asia that serve as United destinations, the bloody treatment of Dr. Dao is seen as a racist act. Is United racist? The answer really doesn’t matter when the perception in the Asian community (and other ethnic communities) is that United perpetrated a racially motivated attack. Does PR Week rescind Oscar Munoz’ “Communicator of the Year” Award just as the Heisman Trust recalled the famous statue from Reggie Bush? The call seems easy. United knows as evidenced by the live coverage of today’s Chicago news conference by Dr. Dao’s lawyers on CNN, Fox News, CNBC, Fox Business and others, this story has “legs.” Just as BP found that out every day the Deepwater Horizon well was leaking, United will also realize this public relations nightmare will endure for weeks and months. So what should United’s PR team do in the interim? The “service” company needs to dramatically alter its way of doing business. Literally thousands upon thousands are justifiably angry at United and other carriers for their well-documented and long-endured arrogance and disregard for their customers, the passengers. United needs to forever foreswear the use of violence on its aircraft except in the rare circumstances in which a passenger is a threat to themselves or others. The days of “overbooked flights” need to come to an end. If someone buys a ticket to a football game that person is entitled to that seat on the 30-yard line. If a passenger buys a ticket for a plane that passenger is entitled to seat 9C. The airlines need to enshrine this simple notion as a new policy and champion it. If they don’t, one suspects that Congress will do exactly that. Don’t try to lobby against this change. Be a part of the solution. Be nice. United, American and Delta – the so-called legacy carriers – need to shed their well-earned image of being rude, arrogant, un-empathetic and uncaring. For once an attorney is right: We all deserve respect and dignity. The lawyers will have a field day, starting with the discovery process. Sell-side analysts will downgrade the stock. Congressional committees will beat up Oscar Munoz. 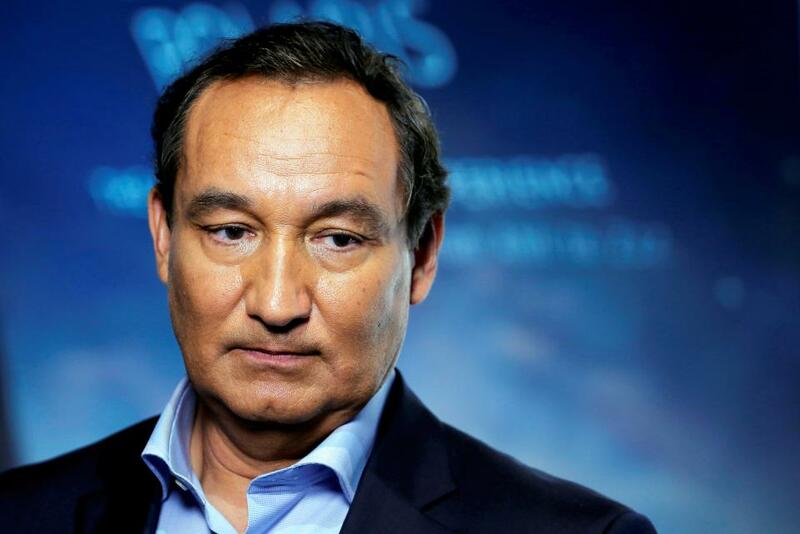 For United’s PR team, this is not the beginning of the end, but the end of the beginning. Time can heal. Keep in mind, United’s brand will never be the same and will literally take years to turn the corner. One suspects United will somehow move forward. A little humility and the willingness to admit wrong, to learn and become change agents on behalf of customers and not just the bottom line, may one day lead to a better tomorrow. Are the phrases “economic populism” and “social justice” not-so-clever disguises for a full-fledged War on Wall Street? Is this another round of the disorganized/nearly forgotten desultory Occupy Wall Street movement now showered, deodorized and all dressed up to make it seem more palatable to the American public? Granted this slightly more than half figure is down significantly from the 65 percent of Americans owning stocks, bonds and mutual funds in the beginning of 2007, but that year was the beginning of the recession, downturn and economic malaise. Some are questioning what happened to the middle class, but many are forgetting America’s burgeoning “investor class.” And with 52 percent of the public participating, it obviously applies to far more than just 1 percent of the American population. The more than half of all Americans owning stocks, bonds and mutual funds in 2013 could be even higher now because of the bull market. These are the people who invest in IRAs mainly with retail brokers in person or online (i.e., Schwab, Scottrade, TD Ameritrade, eTrade, Edward Jones) or designate a percentage of their pre-tax income in 401Ks with a percentage matching from their employer with taxes being deferred until retirement. According to Gallup, they are for the most part college graduates as 73 percent of those with undergraduate degrees and 83 percent with graduate degrees invest in markets … that would be publicly traded companies on Wall Street. How about under the mattress. How about no rate of return? How about banks? How about 0.02 percent interest rates? How about real estate? How about the prospect of underwater mortgages? And you wonder why smart upper, upper-middle and middle class Americans with some disposable income invest in publicly traded American companies listed on the NYSE and NASDAQ, even though people can lose a portion or all of their investment? The answer is that Wall Street is the best game in town, and with knowledge, diversification, perseverance and a cast-iron stomach, literally millions of people build wealth by investing in our markets and our country. And what is the raison d’etre of these Wall Street companies? According to ERISA or the Employee Retirement Income Security Act of 1974, passed by a Democratic Congress, publicly traded corporations are legally and morally mandated to drive the bottom line (doing well) for the benefit of their shareholders. Guess that means they hire hundreds of thousands of Americans and make the products that people around the world want and need. 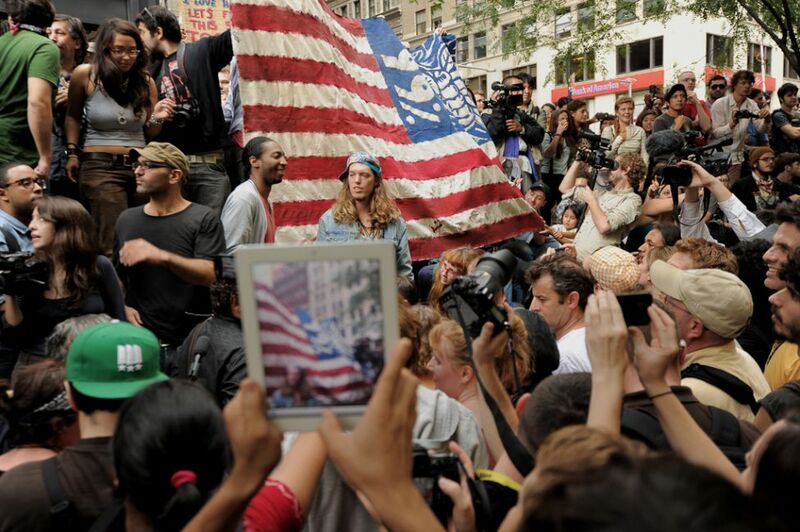 That even includes the upscale coffee, tablets, earphones, cameras, laptops, mobile phones, social media software and operating systems used by Occupy Wall Street and made by (gasp) companies publicly traded on Wall Street. Almost DailyBrett senses a disconnect, but does it matter in a party primary when the empty vessels making the most noise have near zero chance of winning the nomination? Looking down the road to the fall of 2016 would a presidential nominee really want to be saddled with a platform that takes “issue” with major employers of tens of thousands, providing wonderful products and the prospects of solid rates of return for investors? That doesn’t sound like a winning prescription. It may make the union bosses happy. It may re-energize those with the need to demonstrate just like they did in 1968, but does it make any political sense to attack, demonize and vilify the proverbial goose that lays the golden egg? Does Wall Street in the wake of Enron, Arthur Andersen, Bear Stearns, Global Crossing, Martha Stewart, $6,000 shower curtains, “Race Together,” Bernie Madoff, GM and Chrysler bailouts, BP Deepwater Horizon, excessive executive compensation have major real and perceived public relations problems? Does Wall Street need better reputation management? Absolutely. At the same time, let’s not lose sight of Corporate Social Responsibility (doing good) and the literally thousands of companies that work to protect the environment (e.g., Starbucks and Conservation International), address climate change (e.g., Tesla), help rebuild communities (e.g., Home Depot and Habitat for Humanity), combat cancer (e.g., Nike founder Phil Knight and Oregon Health and Sciences University) assist low-income children with difficult medical conditions (e.g., Southwest Airlines and Ronald McDonald House) … ehh … wouldn’t that be McDonald’s as well? For those attacking Wall Street indiscriminately under the banner of “economic populism” aren’t they guilty of throwing out the baby with the bath water. Maybe they should be drinking their own bath water instead. Working Inside or Demonstrating Outside the NYSE? Should communication students be encouraged to work for publicly traded companies either from inside the corporation or providing external advice as a hired gun at public relations or advertising agency? Or should these very same students be galvanized against the excesses of capitalism, demonstrating against Wall Street under the banner of social justice? Are these questions mutually exclusive? Are you either for or against capitalism or for or against social justice? 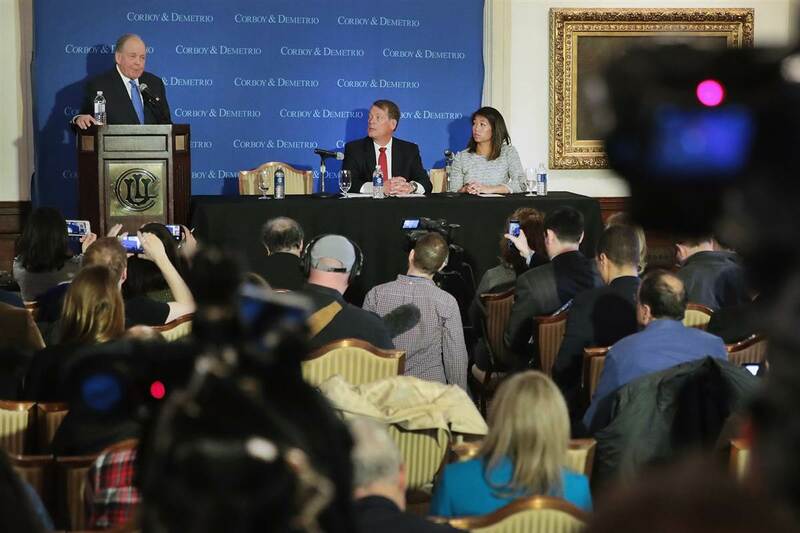 These questions are magnified and intensified against the backdrop of underachieving employment, wage and real estate markets, while the NYSE and NASDAQ remain persistently bullish. It appears this persistent economic scenario quite possibly will greet graduating students at least for the next academic year or two. Finding examples of corporate excess is relatively easy. The author’s former company, LSI Logic, provided a seven-or-eight figure Golden Parachute to former CEO Abhi Talwalkar as he drove the 33-year-old specialty semiconductor designer into the abyss. Spirit Airlines famously stiffed a decorated 76-year old, dying of cancer Marine veteran asking for a mere $197 refund, telling him literally to pound sand because he didn’t buy trip insurance. The carrier generously offered a partial credit, if he succumbed to the Grim Reaper before his flight. Largest corporate bankruptcy-ever, Enron, is the poster-child when it comes to corporate greed and wrongdoing. And yet there were innocent people who were just trying to do their job, including telling the corporate story, until they realized they too were being misled. Considering these examples and literally hundreds more, it is easy to give a broad-sweeping thumbs-down to multi-national corporations. At the same time, it should be remembered that these companies make the products and provide the services that we use on a daily basis (e.g., Apple = Macs, iPads, iPhones, iPods). They hire and provide benefits to literally tens of thousands (e.g., Boeing, 168,400; Starbucks, 160,000; Amazon, 88,400; Nordstrom, 58,140), Microsoft, 55,455). They provide wealth-accumulation prospects for the 54 percent of Americans who buy stocks, mutual funds and bonds (e.g., America’s investor class), including 73 percent of college graduates, and 83 percent of post-graduates. 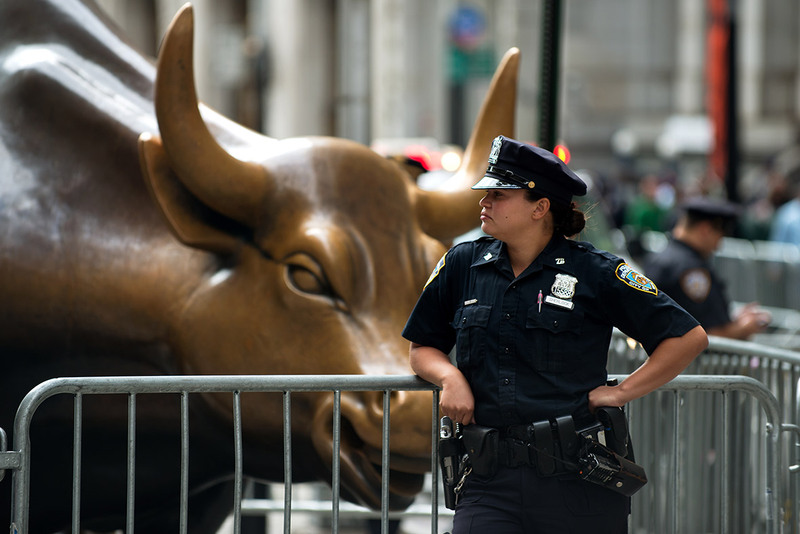 One of the major beefs espoused by the Occupy Wall Street movement three years ago, and the Flood Wall Street demonstrators earlier this month, is that publicly traded companies are focused on profits. These statements are accurate, but it should also be pointed out that companies have a legal (e.g., Employee Retirement Income Security Act or ERISA 1974) and moral (e.g., Fiduciary) obligation to produce the best bottom-line return possible for shareholders. Failure to do so invites almost certain civil and possible criminal litigation against the companies and potential dismissal of C-level executives. As a master’s degree candidate four years ago at the University of Oregon, the author of Almost DailyBrett noted the unrestrained celebration of competitive advantage and buy low/sell high mantra at the business school, and the unrestrained embrace of social justice including redistribution of income at the journalism school. It seemed that one would build a statue of Adam Smith, while the other would throw flowers at the feet of Che Guevara. One would urge students to work and advise corporate America and the other would implore becoming an activist, marching, demonstrating and hopefully not being arrested. Which is the better option for graduating students in making corporate America, particularly fallible publicly traded companies, more responsive to communities, the environment and let’s not forget, its own employees? Corporate social responsibility or CSR should not be seen as an oxymoron. The concept of doing good (CSR) should not be viewed as contradictory to doing well (fiduciary responsibility). Graduates of communications, journalism and business schools can and should emphasize the value of doing BOTH to improve the bottom line for investors, including employees, while doing good deeds for communities, the planet and the rank-and-file employees. 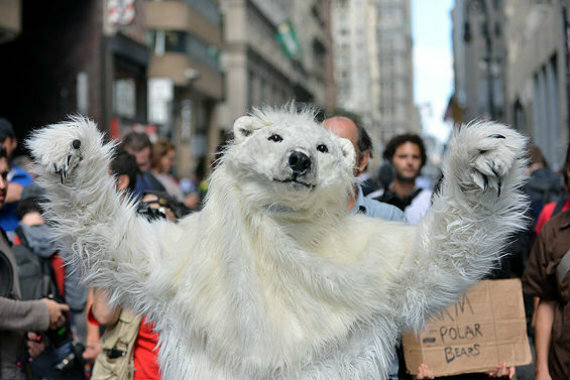 Certainly the likes of Occupy Wall Street, which never found a unifying message, and Flood Wall Street, which tied capitalism to climate change, have their First Amendment Rights to (preferably) peacefully demonstrate. These NGOs need trained communicators and message developers. Conversely, graduates could also choose to work internally to make companies better. They can stand for both fiduciary and corporate social responsibility. They can advocate against excessive C-level compensation. They can take stands against Pink Washing and Green Washing. They can ensure that the public is provided with good products at fair prices and everyone is treated with dignity and respect. And heaven forbid, if another Enron is in the offing, they can courageouly tell the uncomfortable truth using their communication skills. Is it better to be inside the corporation under the banner of capitalism or out in the streets (or in tents) calling for social justice? There is more than one way to make corporate America better for everyone. I flunked geometry in high school. I flunked it big time…and vowed to never take another math class for the rest of my life. So far, I have kept my promise. The obvious question that arises is why am I teaching J410 Strategic Business/Financial Communications at the University of Oregon School of Journalism and Communication starting today? And why was the creation of this course the basis of my master’s degree in journalism? Does not J410 Strategic Business/Financial Communications involve the very numbers that I so despised? The answers are that I could have used this class repeatedly during the course of my professional career. Many go into journalism, public relations and advertising because we don’t like math and/or we lack confidence in our arithmetic skills. The problem is the numbers will find us. We can run but we can’t hide from these little buggers. We should remember that behind every number is a story. As communicators, we are trained to tell stories. Numbers do not appear out of thin air (okay, they disappeared at Enron…but that is a different tale). One day I woke up as the press secretary of the Governor of California. Yes, the largest state of the union with approximately 37 million souls. Soon I was writing the news release for the state budget (12 agencies and 250,000 employees), about $70 billion (including bond funds) in the late 1980s. A quick Internet check can reveal the size and scope of California’s exploding budget and related bureaucracy today. My job was to tell the story of the state budget, how it was balanced, how it did not require new taxes on the citizens of California, and how it even contained (gasp!) a $1 billion reserve for emergencies. Almost seems quaint when compared to the present day. Shortly after arriving at LSI Logic (NYSE: LSI) in the mid-1990s, I was assigned to write the 10Q (quarterly earnings) releases, the 8-K (crisis communication) releases and the 10K CEO (annual report) letter to investors, customers, employees, partners, suppliers, distributors and other stakeholders. What is market capitalization? What is the top line? What is the bottom line? Why is gross margin expanding (does it need to be put on a diet?). And is it better that a deal is accretive or dilutive…dilutive of precisely what? There are approximately 5,000 publicly traded companies on the NYSE or the NASDAQ and each one has strict SEC mandated reporting requirements. There are also requirements to preclude the selective disclosure of “material” information…Factoids that would prompt someone to buy, hold or sell a company’s stock. I wish someone had taught me the rules of business communications as opposed to learning it in the School of Hard Knocks. 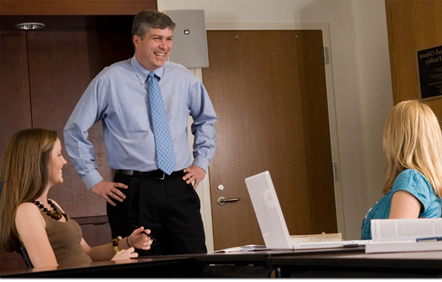 The Public Relations Society of America (PRSA) announced in December 2011 the results of a quantitative survey of more than 200 corporate executives (vice president or above) on whether corporate communications/reputation management should be taught at leading business schools. Ninety-eight percent of these corporate leaders believe that U.S. business schools need to incorporate corporate communication and reputation management coursework into the standard MBA curriculum. In addition, the PRSA survey revealed that 94 percent believe that corporate management needs additional training in core communication disciplines. Only 40 percent rated recent company MBA hires as “extremely strong” in responding to crisis situations, building and protecting company credibility. I bet ya they would have similar sentiments about the business acumen of J-school graduates. It’s time to change these opinions through action. The goals of J410 Strategic Business/Financial Communications is to instill in future journalists, public relations and advertising professionals with the quantitative abilities to tell the story not only about the numbers, but behind the numbers. For business majors, who are adept at numbers and spread sheets, the mission is to help them in storytelling. 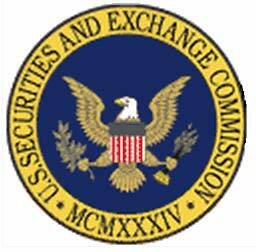 The Securities Exchange Commission is a fact of life. Whether we like it or not, publicly traded companies must communicate (at least every 90 days) and they must instill confidence and conduct themselves in a manner that conveys trust. These skills cannot be outsourced with all due respect to the outsourcing nations. The result of seven months of labor over a computer, churning out 61 pages, 15,000 words and more than 140 citations (and just about as many rewrites) becomes reality today. And if all else fails, I will always remember: Buy low, Sell high. Almost DailyBrett Note: Roush deserves full credit for “Behind Every Number is a Story.” I will never forget this clever use of the English language. Roush, C. (2004). Show me the money: Writing business and economics stories for mass communication. Mahwah, NJ, Lawrence Erlbaum Associates, Publishers. Pages 1-407. Argenti, P., Forman, J. (2002). The power of corporate communication. Crafting the voice and image of your business. New York, N.Y. McGraw-Hill. Page 250. Argenti, P.A., Howell, R.A. and Beck, K.A. (2005). The strategic communication imperative. MIT Sloan Management Review. Spring 2005. Volume 46. Number 3. Pages 83-89. Believe it or not chief executive officers are human, even CEOs that have attained rock-star status. From Lee Iacocca of Chrysler, Jack Welch of GE and Steve Jobs of Apple, these names became dangerously synonymous with their company brands. Investors, media, analysts, customers, suppliers, partners and employees couldn’t get enough of them. But what happens when these rock stars demonstrate their inevitable mortality? What happens when nature runs its course and the meeting with the grim reaper gets closer-and-closer…or actually occurs? 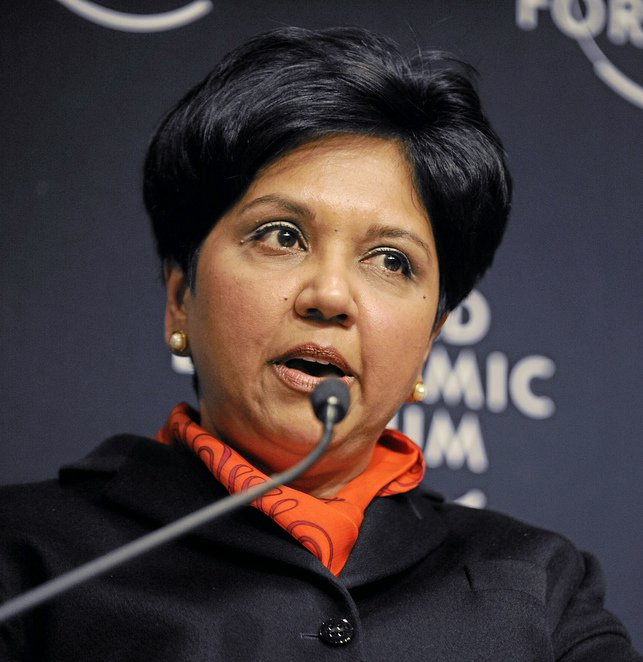 Is it proper to plan for the CEOs demise when she or he is successfully running the ship? It would be foolish not to. Consider the Stuttgart, Germany sales call made by Texas Instruments chief executive officer Jerry R. Junkins on the morning of May 29, 1996. Junkins suffered a major heart attack and immediately died. There were no prior indications of heart issues with Junkins…and 58 is way too young to pass away. The sudden passing of Junkins – maybe not a rock star, but certainly beloved by all who knew him at Texas Instruments – required a middle-of-the-night, all-hands-on-deck fire drill. The TI Board of Directors held an immediate conference call, designated Vice Chairman William “Pat” Weber as the interim CEO and started the process of searching for a new chief executive. The Investor Relations Department contacted the NYSE and asked for trading on the company stock (NYSE:TXN) to be halted until the Street had proper time to digest the news. They also made the necessary 8K filings (material event) with the SEC. And of course, the PR Department prepared the necessary news release and conducted media briefings announcing to the world Junkins’ passing, the selection of Pat Weber as the interim CEO and the upcoming search process. Eventually Texas Instruments started trading again. Weber and the TI team picked up as best as it could for Junkins. And the board eventually selected a permanent CEO Tom Engibous. The key was that TI had a deep bench and a plan for succession…and that plan has been a classic example of successful crisis communications. The stock closed last Wednesday at $376.18 just before the company announced at the close of market that Jobs was going to permanently step down because of health concerns. AAPL opened at $365.08 on Thursday and closed at $373.72. The equity finished the week at $383.58 or $355.6 billion in market cap, actually higher than before the announcement of Jobs’ stepping down as CEO. Why was that? One reason may be attributed to the fact that Jobs’ health concerns are not new to the Street and his eventual demise may have already been baked into the stock. He has taken medical leave three times, once for pancreatic cancer surgery and another time for a liver transplant. In his stead, Apple’s chief operating officer Tim Cook has assumed the leadership role three times and the Apple board is impressed as The Economist describes with his “remarkable talent and sound judgment in everything he does.” Jobs remains as chairman. So obviously Texas Instruments performed well in a fire-drill, aided by advance planning. Likewise, Apple (so far) has not been negatively impacted by the still-shocking-news that Jobs has relinquished the day-to-day responsibilities of running Apple. Taking these two examples of well-executed CEO succession and others that come immediately to mind, what are some public relations/branding strategies to plan for an effective transition, thus preserving the company reputation and continuing to enhance brand equity? ● Repeatedly Contemplate Succession. Even though “succession” is a very touchy subject in most companies, particularly for long-time CEOs nearing retirement and who detest the R-word, you still need to think about this inevitable day. The board of directors will make the call, but you need to cognizant of the strengths and weaknesses of all of the company’s executives. There is a good chance that one of these will serve as the chief executive at least in an interim capacity. ● Put Your Bench Players Into The Game. Think of your CEO as the team head coach and the key executives as the assistant coaches. CEO time is valuable. Does the CEO have to be made available for every media interview or every financial conference? It makes perfect sense to show off your upcoming Wunderkindern. This technique also gives you an opportunity to assess who are your best performers before media, analysts, employees etc. in telling the company story. There may also be cases in which the CEO is not available or the EVP or VP may have deeper insights into a particular facet of the company’s business. ● Have Your Facts Straight in Advance. Always have a complete bio and background materials at your ready disposal just in case the CEO suddenly passes away or steps down. Maintain a similar repository of information about the other key executives, particularly if one of them is selected as the interim chief executive. Be familiar with the workings of your board of directors and HR Department and understand how they make decisions. Be ready to learn as much as possible as fast as possible, if the Board of Directors goes outside the family to select a new chief executive. ● Never Say Never. At LSI Logic, we maintained a policy of never engaging in a public discussion of the internal working of the company’s Board of Directors. We made one exception. 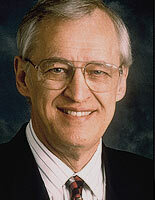 When it came time in 2005 for Chairman/CEO Wilf Corrigan to step down at 67, we wanted everyone to know that he had been working with the board on his succession for two years. Our strategy was to head off at the pass, any speculation that his retirement as CEO was anything but an orderly process involving both Wilf and the board. ● Second-Person Plural, Not First-Person Singular. The best chief executives never use the first-person singular in their internal or external communications (Me, Myself, I). Instead, they employ the second-person-singular (We, Us, Our) to emphasize the team that makes the company’s success possible. The same applies to company chief lieutenants as well. If there is more of a team culture, rather than a cult of personality, it makes it just that much easier to eventually continue business as usual when the time comes for a CEO to move on or the Grim Reaper comes-a-calling. Is a Blog Social Media? Does a bear do nasty things in the woods? Why even address the question of whether a blog is social media? And yet a well-respected colleague, Eric Villines of the MWW Group in Seattle http://www.mww.com/, posed this innocent sounding question to the “Public Relations Professionals” group page on LinkedIn.com. http://www.linkedin.com. The answer seems obvious, but upon reflection maybe it is not. Why? The great promoters of blogs (and you know who you are) extol the virtues of social marketing. This is a utopian, Wild-West free-flow of ideas that germinates with the introduction of a provocative subject by a blogger. Of course, the blogger is not doing this out of the goodness of her or his heart. The goal is to demonstrate thought leadership (oh how agency PR types love that phrase) in a given subject or a given market. Does this blogger necessarily want a conversation? Now that is a different question. In some respects, a blogger may want to lecture, instruct, pontificate and maybe even, bloviate. There may be a product to sell, a cause to promote or even a trial balloon to float. And do companies, particularly always nervous publicly traded companies, want a dialogue? Yes, they want to build brand. And they also want to expand the number of their customers and investors, but do they want input, particularly public input? Some do. Some don’t. 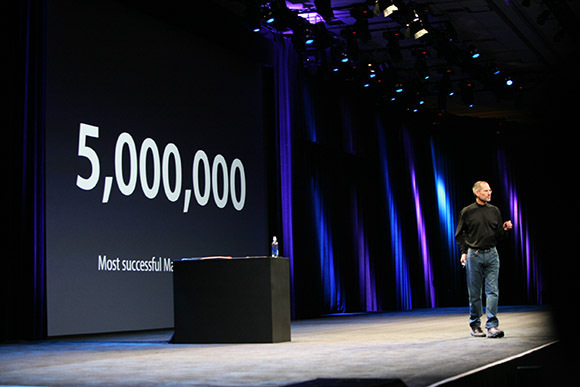 Personally, I led a successful campaign to convince a major Asian technology company to start blogging. What little hair that was left on top of my head is now gone as a result of this process. Since the company trades on the NYSE, they naturally have SEC regulatory concerns (e.g. Reg FD). And they are paranoid about protecting market share and that means preventing inadvertent releases of proprietary information to competitors. These are normal and justifiable considerations. But it went beyond that. What about comments from readers? Do we allow these comments to be read by others? Yes that is the noble purpose of a blog, but still do we want to air what could be dirty laundry? The answer in this case revolved around posting a blog link on the company’s home page that transferred to a separate WordPress site. The company was able to review the comments in response to the blog before approving or rejecting them. The company could also comment in response, keeping the dialogue going. So the answer is a qualified yes, a blog “should” be social media. I use the subjunctive tense to reflect that blogging should encourage a conversation, and that is a great way to build brand and to demonstrate thought leadership. And consistent with this notion that blogs are social media, let me ask: “Do you agree or disagree that blogs are social media?” An inquiring mind would like to know…and thank you Eric for the great idea. What Happened to Bernie Shaw’s CNN? What’s The Difference Between Hockey and Assault and Battery? The Death of Objective Journalism? “Just Plane Smart” For Southwest To Tie Its Brand To Boeing’s 737?